The Homeopathic Materia Medica is so large that it even derives some its homeopathic remedies from the periodic table of elements. One interesting remedy, in particular, is homeopathic Ferrum metallicum — iron. Iron is so important for the body that it is responsible for the formation of hemoglobin—the oxygen-carrying substance in red blood cells. A diet low in iron or the inability to absorb iron can lead to fatigue, breathlessness, and anemia. One of the main health benefits of homeopathic Ferrum metallicum may be its reported ability to treat anemia caused by blood loss. The remedy is also thought to help the body absorb iron more efficiently. The therapy is also prescribed for various other reasons, including digestive disorders, circulatory problems, severe fatigue, headaches, and joint and back pain. This article is your comprehensive guide to everything about homeopathic iron, including its history, homeopathic profile, and many health benefits and uses. Homeopathic Ferrum metallicum is made from powdered iron of iron ores like hematite, which is found in the U.S., Canada, and Venezuela. Iron is considered to be the second most abundant metal in the world. Iron is also used as a dietary supplement. Low iron in the body can lead to health complications, including chronic fatigue, anemia, low energy, mood changes, shortness of breath, hormonal imbalance, and more. As a result, getting enough iron in the diet increases energy, prevents anemia, maintains cognitive function, and supports mood and the immune system. To make the homeopathic remedy, the iron is ground with lactose sugar, before being triturated, dissolved in water, and repeatedly diluted and succussed, or shaken vigorously. Homeopathy founder Dr. Samuel Hahnemann was thought to have proven and published Ferrum metallicum between 1821 and 1834. Ferrum metallicum is a key homeopathic remedy for blood disorders, including anemia and the genetic blood disorder called thalassemia. As mentioned, there is a link between iron deficiency and anemia. Although there is no direct link between dietary iron deficiency and homeopathic Ferrum metallicum, certain homeopaths believe the remedy helps the body absorb and utilize iron more efficiently in the diet. Ferrum metallicum appears to work well for anemia and associated symptoms such as severe fatigue, pale lips, and a pale face that gets flushed quite easily. The remedy is often given for anemia from blood loss, often due to pregnancy problems or heavy periods. Symptoms worsen from menstruation or violent exertion; however, symptoms improve from gentle movement. Thalassemia is a disorder that leads to excessive destruction of red blood cells, and eventually anemia. It is caused by a deletion or genetic mutation of certain key gene fragments. An article published in the journal Evidence-based Complementary and Alternative Medicine in 2010 concluded that homeopathic remedies like Ferrum metallicum 30C have great potential in the treatment of thalassemia without any known side effects. What are the other health benefits of homeopathic Ferrum metallicum? In homeopathy, the remedy profile is a significant indicator for determining whether the treatment is a good fit for your symptoms. 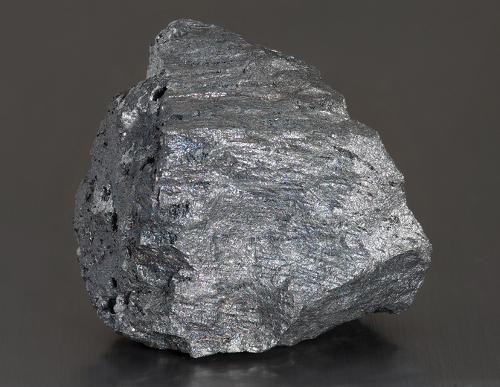 For instance, Ferrum metallicum is used for emotional traits, such as nervous irritability, moodiness, sensitivity, and intolerance for contradiction. The person’s compulsion to do certain tasks may also lead to feelings of restlessness, failure, and neglected duty. This type of compulsion easily leads to depression, weakness, and extreme fatigue. The person also has rosy cheeks that suggests good health, but is actually due to poor circulation. There may also be profuse, clammy, and cold perspiration. Sensitivity to noise and cold and bouts of dizziness are other common traits when homeopathic iron is required. Besides anemia and blood disorders, homeopathic Ferrum metallicum is also used for digestive disorders and circulatory problems, possibly due to appetite loss. The remedy is also used for severe fatigue, headaches, and back and joint pain. Ferrum metallicum is a common remedy for digestive symptoms, including nausea from eating that may cause appetite loss. There may also be sudden vomiting that occurs while eating, or hours later like around midnight. Common symptoms also include constipation or cramping in the abdomen or stomach. Digestion is also weak with intolerance to fatty foods and eggs. The remedy may also be used to treat postoperative nausea, and for teething children with diarrhea while eating. This homeopathic remedy is also used for circulatory problems, especially painful varicose veins, particularly during pregnancy. Hemorrhaging-like nosebleeds are also common, especially in children. Other symptoms include throbbing blood vessels with headaches, fevers, hot flashes, neuralgic pain, and palpitations aggravated by heat. Throbbing forehead headaches will also last for days, and there may also be scalp pain and dizziness. Symptoms may worsen from heat, lying down, and from the loss of bodily fluids. Homeopathic iron is also a key remedy for lower back and neck stiffness, sciatica, and arthritis, especially in the shoulders. Ferrum metallicum is also used for coldness in the feet and painful daytime cramps. Despite an aversion to brisk movement and fatigue, restless or pain will cause a compulsion for constant movement. Although walking slowly improves symptoms, things become worse during the beginning of movement. Ferrum metallicum is also a great homeopathic remedy for severe fatigue, and chronic fatigue syndrome (CFS). CFS symptoms may include many of the traits that this remedy is known to effectively treat, including a fever, headaches, depression, weakness, appetite loss, and muscle and joint pain. The remedy is used for extreme mental and physical fatigue, with the former causing great noise sensitivity. The person also does not want to work, but desires to lie down. Symptoms improve from walking slowly in fresh air, but they worsen from emotional stress. Where do you find homeopathic iron? Ferrum metallicum can be purchased online or at the supplement section of a health food store in liquid or pellet form. You will also be also be able to get the remedy right from your homeopath when they feel the remedy best matches your mental, emotional, and physical symptom picture. As mentioned, homeopathic Ferrum metallicum is a useful remedy for blood disorders like anemia, digestive disorders, severe fatigue, headaches, circulatory problems, and back and joint pain. You will want to consult with a homeopath before taking this, or any homeopathic remedy. Your homeopath will be able to recommend the best dosage and potency for you. Follow-up appointments with them will also be able to tell you if a change in potency, dosage, or remedy is required. Lockie, A., Encyclopedia of Homeopathy: The Definitive Home Reference Guide to Homeopathic Remedies and Treatments for Common Ailments (New York: DK Publishing, Inc., 2000), 81, 204, 218, 230, 236. Lockie, A., et al., The Complete Guide to Homeopathy: The Principles & Practice of Treatment (New York: DK Publishing, 1995), 129. “Ferrum Metallicum,” Home Remedy Central; http://www.homeremedycentral.com/en/homeopathic-remedies/homeopathy/ferrum-met.html, last accessed Aug. 28, 2017. “Ferrum metallicum,” herbs2000.com; http://www.herbs2000.com/homeopathy/ferrum.htm, last accessed Aug. 28, 2017. Banerjee, A., et al., “Can Homeopathy Bring Additional Benefits to Thalassemic Patients on Hydroyurea Therapy? Encouraging Results of a Preliminary Study,” Evidence-Based Complementary and Alternative Medicine, March 2010; 7(1): 129-136, doi: 10.1093/ecom.nem161.